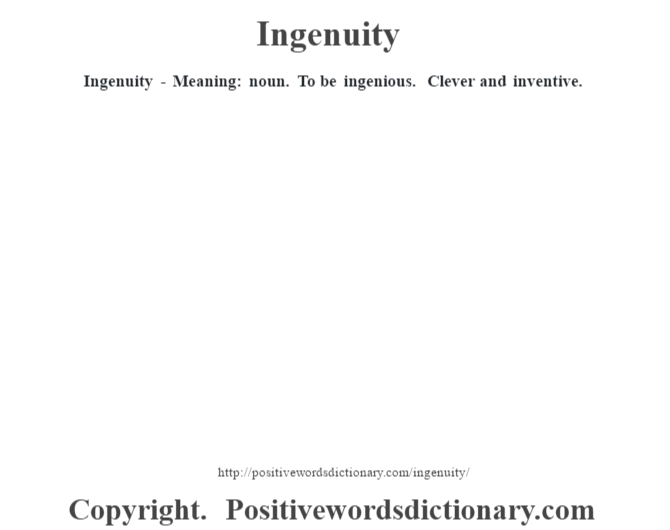 Ingenuity – Meaning: noun. To be ingenious. Clever and inventive.